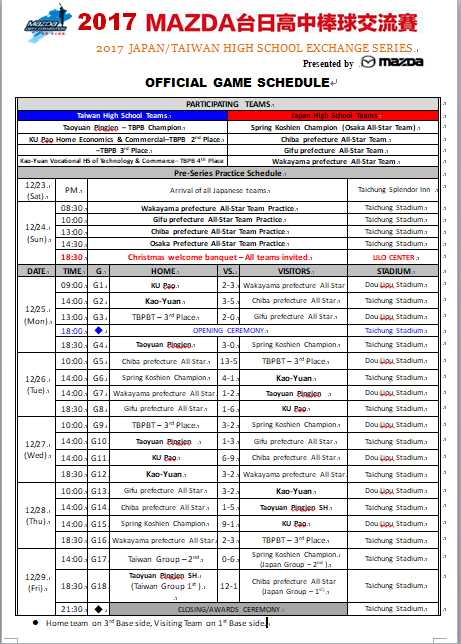 The third Taiwan-Japan High School Baseball Exchange Series successfully concluded in Taichung on December 29, 2017, won by Ping-Jen S.H.S. for two years in row to the delight of Taiwanese fans. Managers of all the 4 visiting Japanese teams valued the succession of intense match-ups. The winners, however, were all the young players as they learned a lot from the international competition and created enormous goodwill both inside and outside of the ball park. Osaka All-stars with 18 of total 20 players comprise Osaka Toin High School, 2017 Koshien Invitational Champion won the Bronze by defeating TBPB (Kao-Yuan Vocational HS of Technology & Commerce) 6-0. TBPB’s manager 顔良吉 praised players of Japanese teams as they run at full speed to the first base regardless of a baser or mishit. 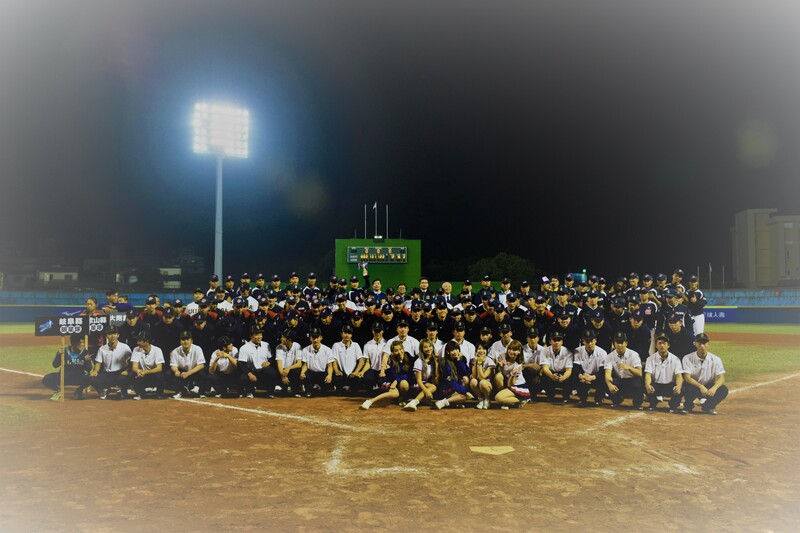 when Prefectural All-Star Teams of Fukui, Yamagata and Ehime toured to Taiwan. Last year in 2016, Team Nara and Team Osaka All-Stars were invited and 2017 saw the largest-ever 4 teams, Osaka（大阪） for the second year in a row, Chiba（千葉）, Gifu（岐阜） and Wakayama（和歌山）.